We must know who you are in order to honor your request. Please login. 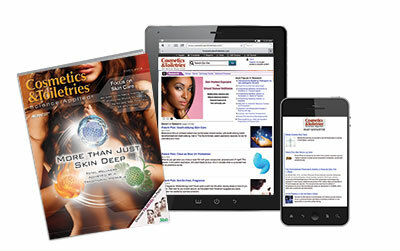 Allured Business Media is the proud publisher of Cosmetics & Toiletries, Global Cosmetics Industry (GCI), Perfumer & Flavorist and Skin Inc. magazines, newsletters, websites and events. To opt in, check the box below and submit. To opt out, uncheck the box below and submit.